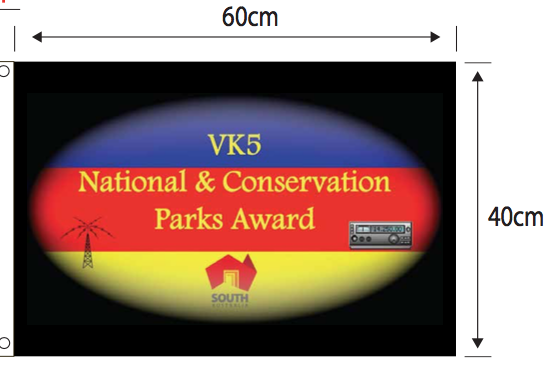 VK5 National and Conservation Parks Award flags are available. They are produced by Australian Flag Makers. Depending on the amount of flags ordered, the cost is around $20.00-21.00. Please contact Paul VK5PAS if you are interested.